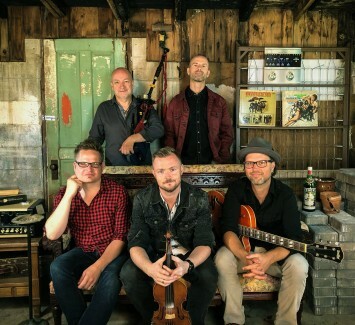 Toronto's Celtic rock band Enter The Haggis has blazed a path with heavy and almost constant touring up and down the East Coast, to Canada, the West Coast and back again. With their bleating bagpipes, reverberating guitars and fierce drums, Enter The Haggis sounds as if its orchestrating a manic pub crawl. Whether you're a Dropkick Murphys fan or a Chieftains fan, you'll probably wind up being a fan of these guys.